In this edition of Ronnie's Road Trip, Ron heads to Cobar, NSW to speak with Robbie Budd of Budd Exploration Drilling about the current climate for mining exploration. 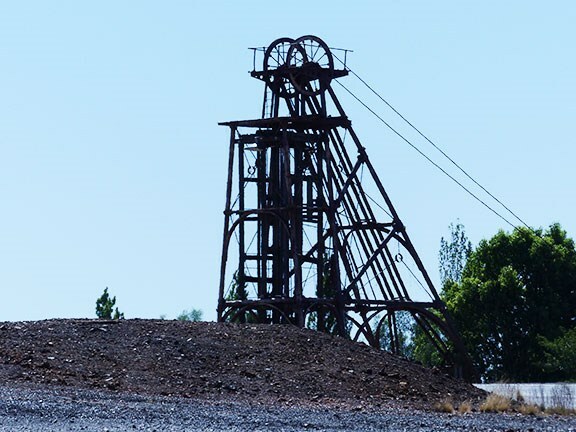 On this trip we head to the far western NSW mining town of Cobar. It’s a remote, tough mining town located about 700km from Sydney, 500km from Broken Hill - and who knows how far beyond the Black Stump. Cobar is the copper-mining capital of NSW; gold, silver, lead and zinc now also feature in its underground wealth, having lain hidden beneath the slag and mullock heaps of generations of miners gone by. You have to be tough to survive out here and if you are born here, apprenticed here and set your business up here, you certainly know all about tough. They don’t come much tougher than Robbie Budd. A big, strapping, solidly-built driller, Robbie completed his underground mining apprenticeship on the CSA Mine about 40 years ago. He decided daylight above his head suited him better and used his drilling experience to pursue life outside mining. After a stint on gas pipelines, Robbie picked up a surface drilling job with Wilsons Drilling, a local contractor where he honed his skills over the next couple of years, but when an opportunity came for him to procure his own rig, he jumped at the chance. Drilling is no mugs game. There are big upfront costs, with some of these rigs venturing into the millions of dollars, big running costs, big maintenance costs - and big profits if you’re astute enough to find the right client, terrain and men to work these complex pieces of gear. Robbie will be the first to tell you that he has flown close to the financial wind sometimes during his long contract drilling career, but through good luck or good management (or both) he’s been able to withstand the rollercoaster one has to endure in this - or any - industry closely tied to the mineral resource sector. None of it was easy, according to Robbie, with heavy competition, downturns in both the economy and mining exploration drilling projects, the collapse of mining companies, heavy financial losses, remoteness of the work and ever-changing weather patterns just a few of the issues the industry has to endure. 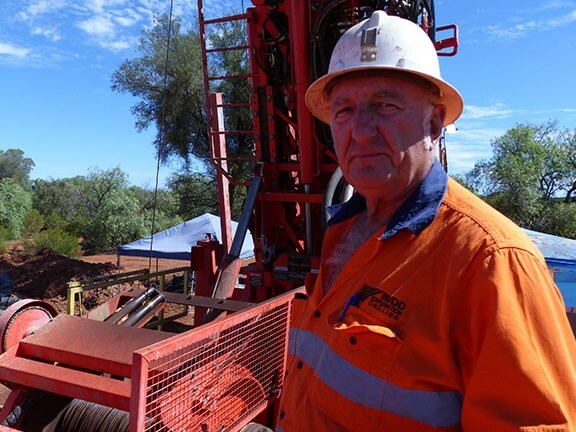 These days, even in a restricted mineral resource exploration environment, Budd Exploration Drilling is running at full steam and, despite having contracted to most of the major mining companies across Australia, these days Robbie’s working close to his roots in Cobar for a change. Robbie says that this is a rare occasion, in that he’s able to field most of his men within a 100km area of his workshop in Cobar. "This makes life so much easier for me to oversee the operations, it’s easier on the men, it’s much easier for us to keep on top of the maintenance on the rigs, and it’s easier to support the client in the day-to-day issues which arise during such important and, believe it or not, delicate drilling operation. During the boom period, Robbie employed over 50 men with 13 rigs running throughout Australia. However, he astutely foresaw a downturn coming very early on and sold off a few rigs and made retrenchments, focusing on retaining good gear and his best men. 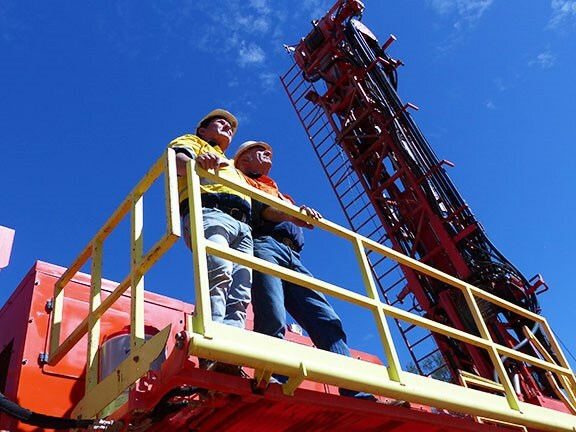 This put Budd Exploration Drilling in a good position to withstand industry cutbacks and he now employs about 27 guys locally, from other areas of NSW and from interstate. He says he has a wealth of experienced people and they have been a major part of his operation. "If you can’t get the right men with both the mental and physical toughness to survive the elements and shift work, your operation is pretty-well buggered from the start,’ he said. "There’s no room for sooks out here, mate," he says. "They are thrown into a remote environment, no smoko vans here every four hours, no medical expertise to treat medical conditions or injuries, there’s extreme heat, bulldust and flies, mud up to your ankles when its wet, you cook your own tucker and you make sure the job gets done safely and efficiently and you fix the breakdowns in record time." The men sleep on the job-site in a mobile camp and work 14 days straight before heading home for a long break and another crew comes in to take over their roles. "You talk about tough. Well, they bloody well are mate, and I’m proud of all of them," he said. 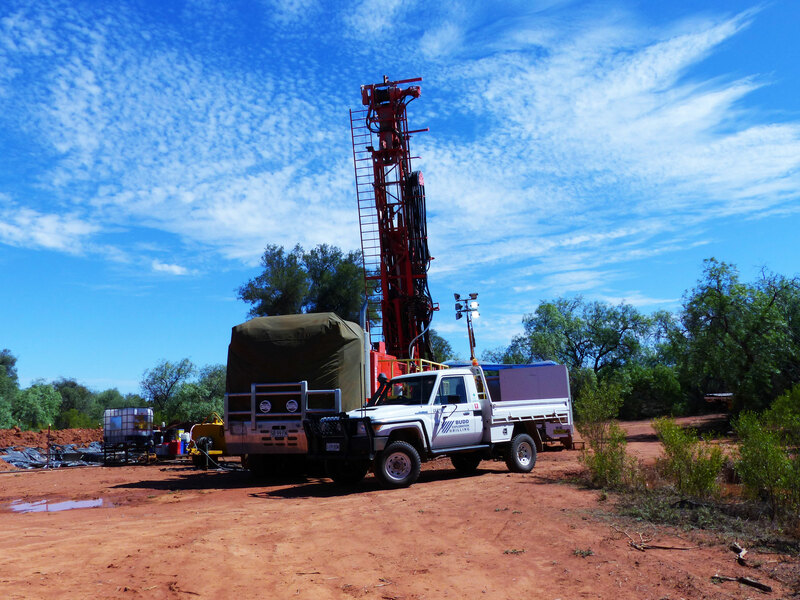 Robbie took me to a drilling exploration site out of Cobar, a core-sampling project searching out a mineral deposit for one of the several mining companies still working the rich Cobar ore bodies deep underground and far below the mulga, peppercorns and bulldust. 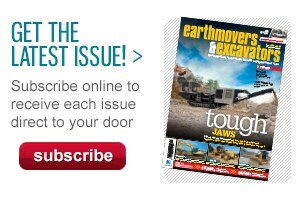 "We’re not looking for any specific mineral on this site. There’s so much ore still available in the area, the client’s merely exploring underground resources to find out what minerals, at what depth and in what quantity they have available. 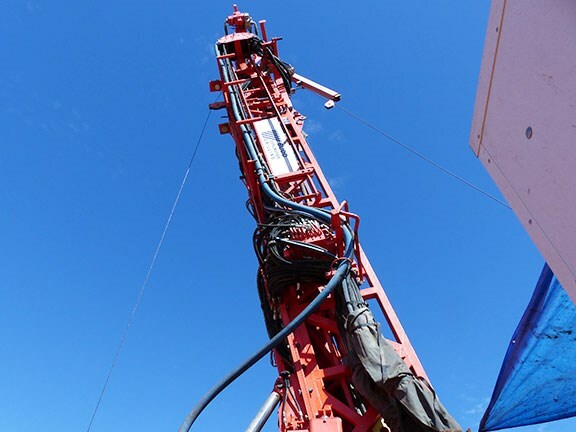 Technology has made these operations so much easier and more precise, so we know exactly where we are at any time, at what depth and if we’re running true to the drilling plan." 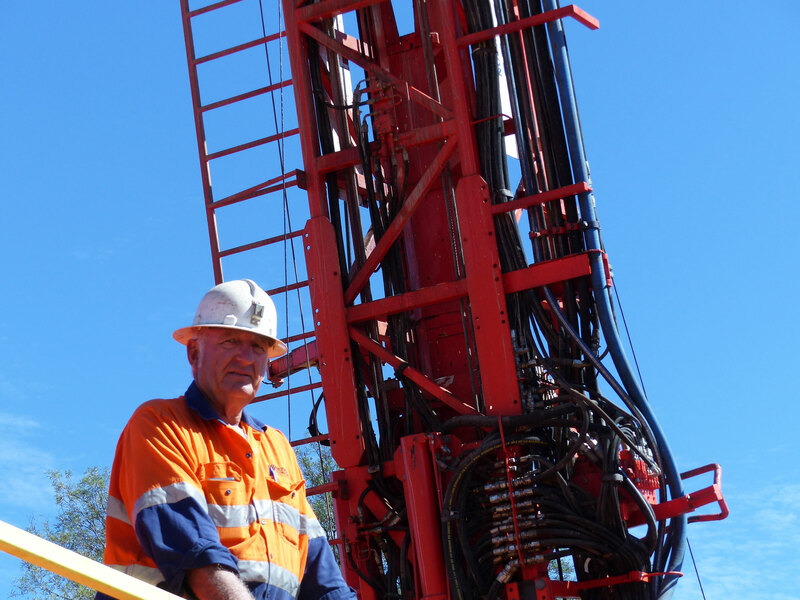 Budd runs 6 mobile truck-mounted drilling rigs out of Cobar and the one we’re seeing, a Sandvik DE840 which Robbie has owned for four years, is a mid-sized rig capable of drilling down to 2200 metres. You wouldn’t put this rig on a ‘48 Bedford, so he chose a Mercedes 8x8 wheel drive Actros truck capable of carrying the 30 tonne tare weight. The rig is nationally-registered, but permits are needed whenever a move is planned, as it’s over-length due to the mast of the rig overhanging the rear of the truck. The truck is bogey drive but when confronted some tough going, a flick of a switch on the dash engages the twin-steer into 8-wheel drive. It’s capable of 100 km/h, is fully automatic and is a roomy and comfortable two-seater. The drill rods, normally three metres, are extended to six metres long for this project and the holes need to be drilled in accordance with a geologist’s drilling plan. Everything is computerised, from the drill programming to downloading the drilling log information obtained from the core samples, once extracted from the bowels of the earth. The 50mm core samples are taken for the full 900 metre deep hole in this instance, removed from the core tubes, meticulously measured and documented to exacting degrees, thoroughly cleaned of drill mud and oils, and stored in core sample trays marked with corresponding identification markings for the geologist to inspect. This is a most important part of the drilling programme, because this information is vital for the assessment of whether a miner is sitting on a profitable mineral resource, and the depth and quality of the ore body. So important is this documentation that if it’s not clearly marked by the driller’s off-sider, the whole costly operation could be aborted. The mine lease-holder depends on this assessment being true and correct so a decision can be made about the mine being expanded, beginning a new operation or aborting the sector altogether. If the decision is made for a new mining operation or continuing in the new ore body, this information is used to create a computerised model of how the mine will operate - for example, as an open cut or entirely underground. A new mining operation can create hundreds of jobs and millions of dollars in cashflow during the construction and resource-extraction lifecycle of the mine. This opens up the doors for earthmoving and mining equipment to be used and the cyclical mineral resource boom starts all over again. Exploration drilling is governed by cash availability and the need to expand and prove the mineral resource on the lease. The scales of the world economy play hard-ball on the base metals industry with fluctuating ore prices adding to the adrenalin rush one. Add the reminder of how many good mates lie in cemeteries around Australia: their headstones are a reminder that this is a tough industry and you need to be tough and lucky to survive and smart enough to know when to move on and to get out. 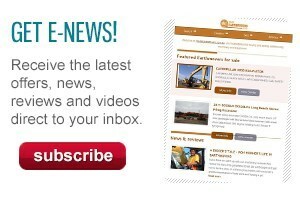 Budd Exploration Drilling has the reputation, skills, dedication and resilience to survive in one of Australia’s toughest industries, in some of the toughest conditions in the world and has a founder keen to impart his wealth of experience and skills to a new generation of drillers. Not always profitable, not always enjoyable and never easy, you need to be one tough bloke to survive out here, let alone be successful.… Robbie Budd is testament to this.